In the summer of this year, a bold statement of intent was published setting out a single view of high quality adult social care. The creation of commissioners, providers, staff, national bodies and people who use services, their families and carers, it was a joint commitment to making a real difference for service users, carers, families and everyone working in the sector. It was called Quality Matters. A recent report by the charity Age UK found that funds transferred from the NHS to social care grew from 2 percent in 2006/7 to 16 percent in 2015/16. This reflects the growth in the social care sector identified by Skills for Care’s workforce estimates which suggest more than 20,000 organisations are now providing care, with a combined workforce of nearly 1.6 million. As the system grows it’s hugely important that social care and NHS services work together effectively, building good relationships to meet the many challenges ahead of us. 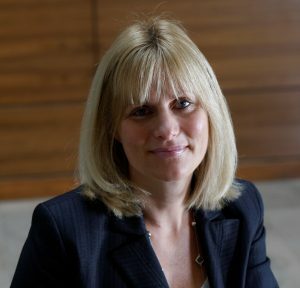 It’s a major commitment of the NHS Five Year Forward View, supported by the development of Sustainability and Transformation Partnerships (STPs), which bring organisations together to focus on the needs of local populations. We know that people’s experience of care is not limited to one care worker, clinician or setting – it’s integrated across many different health and social care services. By working together we can make a real difference. Adult social care can positively transform people’s lives. 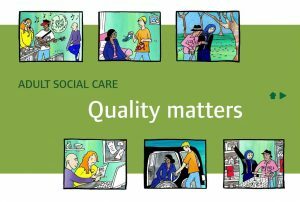 The quality of services delivered in social care really matters. People who access them deserve to receive care that is safe, effective, caring and responsive. We’ve produced a number of guidelines and quick guides to set best practice in social care. We also recently launched a Quality Improvement Resource which will help shape services and ultimately improve adults’ well-being. It was co-produced with local authority commissioners, provider organisations and the Care Quality Commission (CQC). The resource maps our quality standards and guidance against the CQC’s key lines of enquiry. You can read more about the resource here. We know that adults’ care needs are rising. Adults with long-term and multiple health conditions and disabilities are living longer. The number of adults aged 85 or over is rising faster than the population as a whole. We also know that local authorities’ total spending has fallen by 8 percent between 2010-2013 and is projected to continue falling. Our work will have even more important during these challenging times. So, whilst the above are some of the areas we’ve developed to support social care, we’ll need to continue looking at ways to help individuals and organisations across the field build a better system, something we can all be proud of and which aligns with our commitments and values. NICE will continue to collaborate with our many health and care partners across the system to make this happen. Lovely words. But anyone who knows what is happening in the real world of social care now knows that it is underfunded chaos. Thousands of independent care providers are working on the basis of uncoordinated systems which are incompatible with NHS systems. There is enormous scope for care provision to cooperate closely with the NHS for the benefit of everyone, but there is no central drive from Government to ensure that the necessary coordination takes place. Government is concentrating its efforts on the lunatic Brexit process which is farcical now and will become tragic before very long -especially for many poor, deprived and sick people. I agree there are many pressures on the delivery of social care. To support and encourage improvement, NICE is working closely with Government, partner organisations and the third sector on a number of quality improvement projects. This includes the new collaborative Quality Matters Board, set up to help partner organisations work towards the same goals and values to meet the many challenges facing for the health and care system.